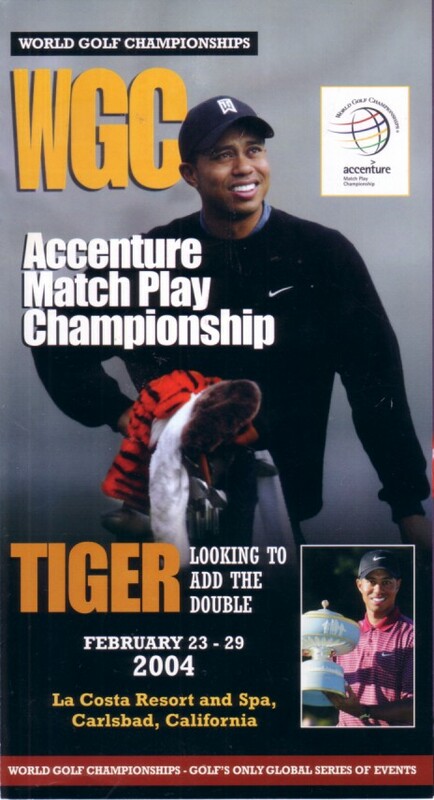 2004 World Golf Championships Accenture Match Play Championship pairings guide featuring defending champion Tiger Woods, who successfully defended his title. MINT. ONLY ONE LEFT.